Welcome to Lawson State Community College! We are excited that you have joined our team! You are about to embark on a 5-step training series conducted by CTEL, that, once complete, will formally acclimate you to the inner workings of Lawson State and highlight your duties and responsibilities as an instructor. Please DO NOT begin this training unless Human Resources has officially welcomed you to college and issued you an official Employee ID number. This online faculty training series (for new faculty) is required for all full and part-time faculty members at Lawson State Community College. You will have a total of six weeks to complete this entire training series, but Steps 1, 2 and 3 MUST be completed during your first week of employment, so begin the training today. Contact CTEL immediately if anything impedes your ability to begin this training the very first week of your employment. Remember, Steps 1, 2 and 3 should be completed your first week of employment, including your Step 3 quiz. You will have an additional 5 weeks to complete all other sections of this training series. Complete this step during your first week of employment at Lawson State. You will need your Employee ID (secured from the Human Resource Office) to activate your Lawson State Email, Blackboard (a required course management system designed to support all LSCC courses) and Faculty Suite (a centralized zone to support all courses, record daily attendance, input grades, secure your payroll information and more) and your AS400 (internal main operating system) account. You will learn more about each of these tools throughout your training. To activate one or more of these accounts (depending on your employment status), click on the "Activate My Account" button and answer the series of questions posed. Only faculty (under a contract) will be authorized to activate these accounts. User Names and Password information will be sent to you via the personal (private) email account you provide us (through the activation) process. No other means of activation, besides this one, is accepted at the college. Step 2 (Week 1): Register for Cougar Alert. Lawson State's Emergency Notification System. Don't Call Us...We Contact You!!! 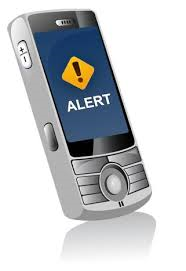 Cougar Alert is a mass notification system comprised of email, voice and text messaging that is designed to send emergency messages to thousands of individuals in minutes. It supplements existing means of emergency communication, including outdoor warning sirens and severe weather alert radios. LSCC students, faculty and staff have the opportunity to provide a primary mobile phone number for receipt of text messages, and up to three other phone numbers (mobile or other) for receipt of voice messages. Emergency messages (i.e., school closings due to severe weather, danger on campus, etc...) will be sent via a system provided by the Blackboard Connect. Cougar Alert will be used in tandem with other campus communication tools. How to Locate Your ID Number? : Students: you can secure your LSCC Student ID from your schedule (at the top), or through your Employee Suite (also called the Faculty Suite), if you are an employee. Complete Step 3 during your first week of employment, including the Step 3 quiz (on the video you are about to view). You will need access to Faculty Suite to complete this step. Contact us immediately if you have requested Faculty Suite information and you have not received your login information and it has been longer than 48 hours since the request has been made. You will actually learn how to record attendance within your classes before really starting your official training series at the college. We move this element of training up because you have to record attendance the first week of classes, so it is important that we tailor your training to ensure your can meet this important employment responsibility. Accurate recording and reporting (submitting) of attendance is tied to Federal mandates; thus, it is vital that all faculty record attendance and submit it accurately. At Lawson State, attendance MUST be submitted by midnight every Friday, no exceptions. Errors of any kind should be reported to the Registrar's Office. Call 929-3409 to report recording errors. When is Attendance Due Each Week? Attendance is due every Friday by midnight. Recording of attendance takes place online only. All faculty MUST meet this recording deadline. Again, attendance should be recorded for each week of class, including the Final Exam week. Begin recording and submitting your class attendance (for each class assigned) the first week of class. Attendance should be recorded for each week of class, including the Final Exam week. View the tutorials below on recording and submitting attendance. After you have viewed both videos, take the quiz below using the CTEL passcode and begin your traditional series of orientation training that follows below. Complete all modules in the training. NOTE: Once you view each video, hit the back browser / arrow (on the YouTube), and it will navigate you back to this page to take your exam. Contact us if you have trouble viewing either video. Take Your Attendance Recording Quiz Now! Click on the Quiz icon below to access your online quiz. Results will be automatically submitted to CTEL. Contact CTEL if you require ADA accommodations to test. As a new employee of Lawson State Community College, it is important that you stay abreast of the policies that impact you and the inner-workings at the college at large. 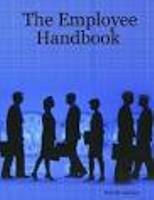 The Faculty and Staff Handbook is designed to provide you with key and important information related to your employment. Information can be found on the evaluation process, promotion, policies, procedures, travel, leave and more. The Handbook can be accessed via Lawson's State website under the Faculty and Staff tab (on the main page). Click the Faculty and Staff Handbook icon below to begin reviewing its contents. Step 5 of faculty training acquaints you on Lawson State's internal operations and procedures. You will have two weeks to complete this training although many faculty complete it in less than two weeks. This part of training is required of all full and part-time faculty members and has quizzes associated with many of the lessons. Step 6 of training is designed to train all full and part-time faculty on Blackboard. As noted, Step 5 is a series of short videos (and quizzes) which provide you with specific and important information about Lawson State's internal procedures, practices, systems and polices. Step 6 is a series of training videos on Blackboard, the main course support system that 100% of faculty teaching at Lawson State are required to use. After you complete each part, you must complete any and all quizzes associated with the various sections. You must score an 80% on each exam. Tests can be retaken. Once done, you will receive your faculty orientation certification. NOTE: Part time faculty who do not successfully complete orientation will not be offered a new contract the following term. Full-time faculty are required complete all training components as part of their first year evaluation professional development credit. CTEL will assist both full and part-time faculty with completion. Blackboard--100% of all Lawson State courses are supported by Blackboard. All faculty should post announcements, homework assignments, classwork, handouts, syllabi, course calendar, and presentations within all classes. Click on the Blackboard logo to access the required training videos. View the following videos as part of this Blackboard Orientation Course and then take the two tests associated with this learning series. You will have three weeks to complete this training. Have general questions? Let Us Help You. If you need any help as you transition as a new faculty member at Lawson State, let us know. You can request an additional training video be added to our listing. You can ask us a question (on any topic), or you can submit a Technical Support Request if you are having trouble with email, Blackboard or Student Suite. We are here to help.